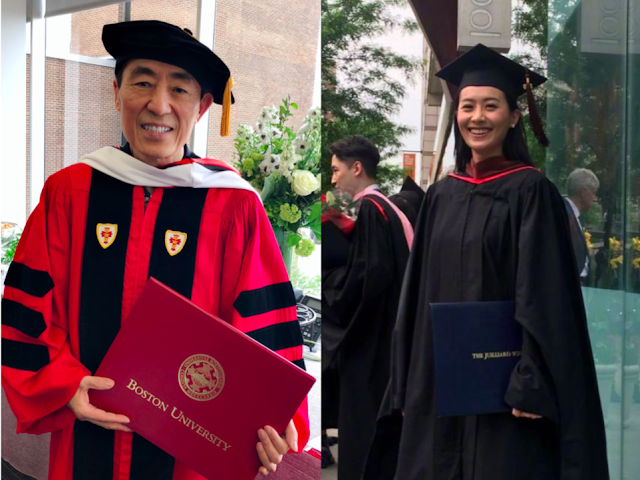 It's the season again to be welcoming new graduates, except our two graduates are already very established in their respective fields. 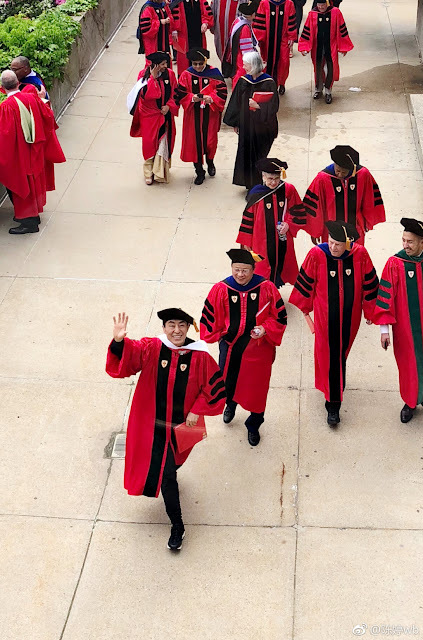 Zhang Yimou who has been in the filmmaking industry for 40 years just received his Honorary Degree of Doctor of Human Letters from Boston University. 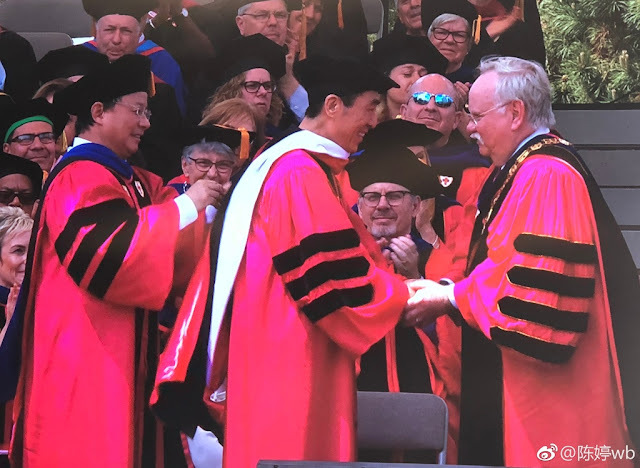 Even at the age of 68, he's adorably ecstatic at receiving his diploma. 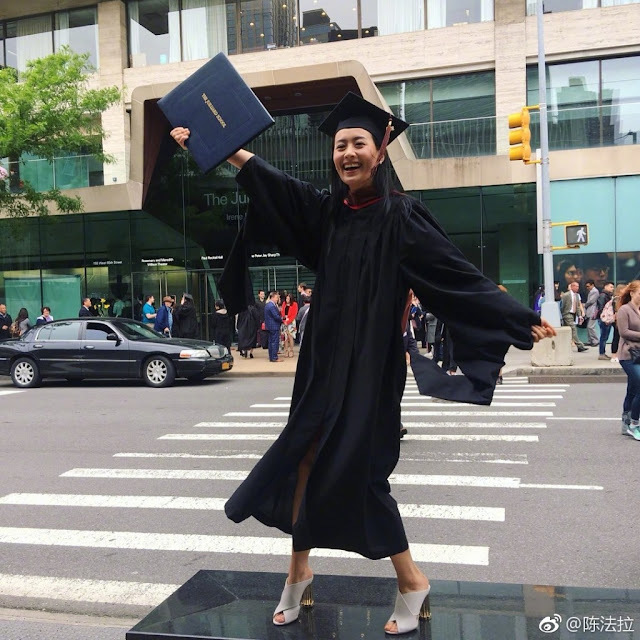 TVB star Fala Chen who took a break from acting after her contract with the network ended in 2013 recently completed her studies. 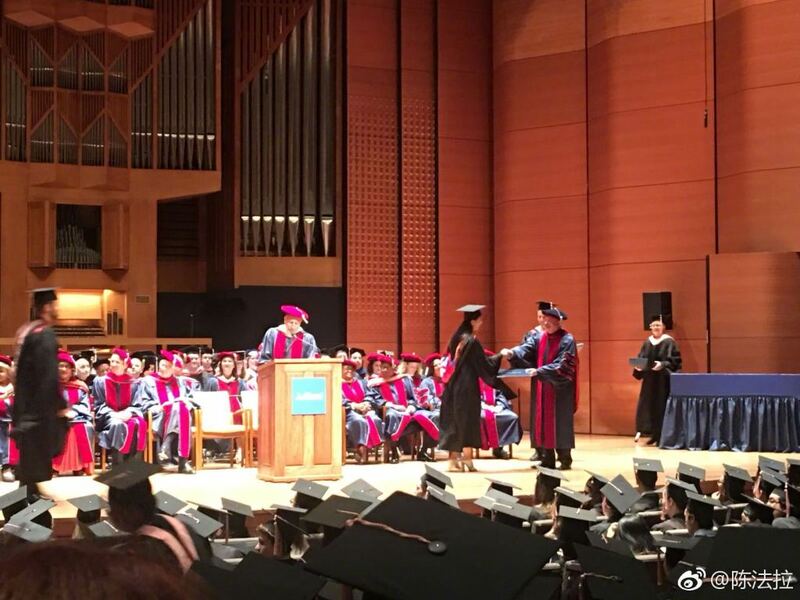 The 36-year-old actress graduates from The Julliard School with a Master of Fine Arts. Sharing her thoughts on graduating, she said that it is hard to believe that four years has passed. 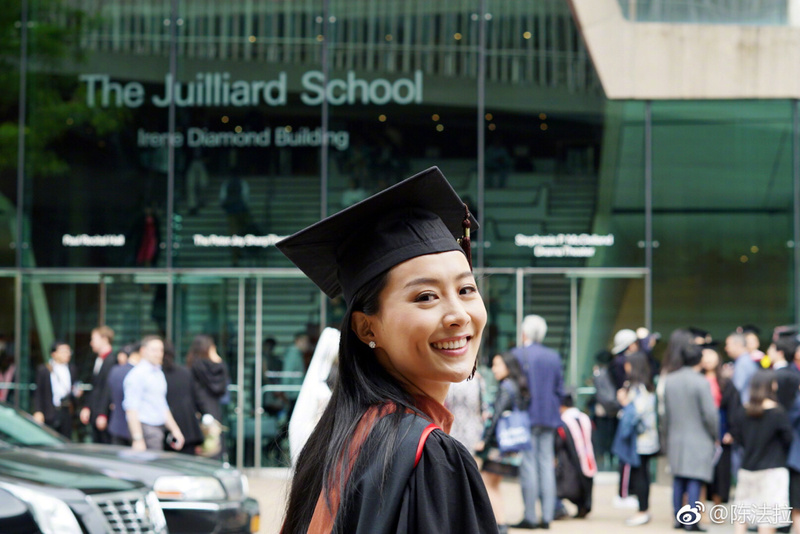 The moment she got into Julliard, she knew that there would be difficult but very worthwhile years ahead. Without her family's encouragement, her teachers' guidance, her colleagues who are far away in Hong Kong and China and her cheerleaders, she wouldn't have been able to complete her studies and she's thankful to everyone. Well done to Fala Chen! That's awesome she went back to get her Masters. 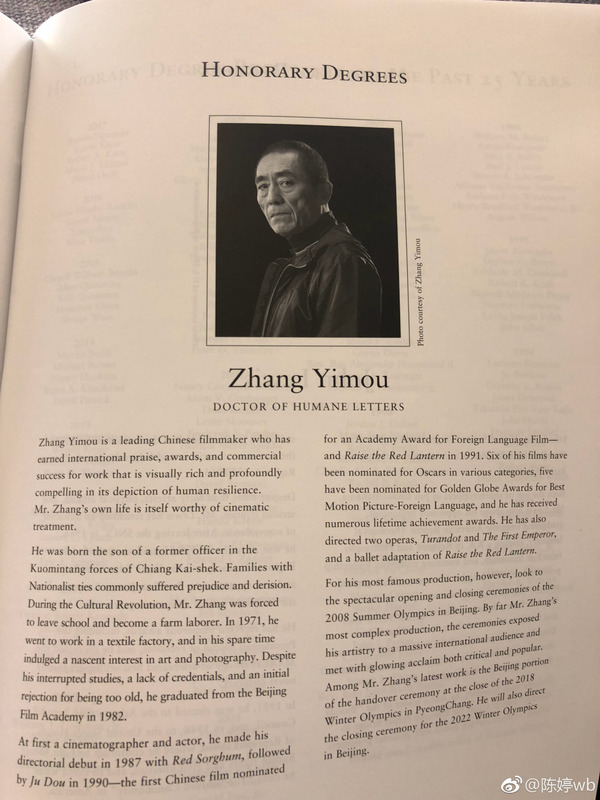 Zhang Yiomou's excited pic is so cute.